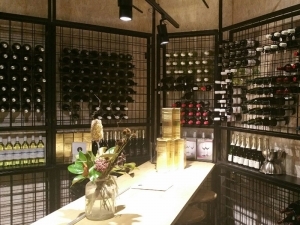 Shelving Racks are designed to store cartons or boxes of wine and bottles stood vertically. 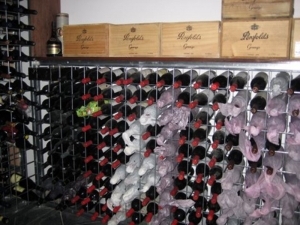 Shelving Racks are usually made to our customers recommendations. 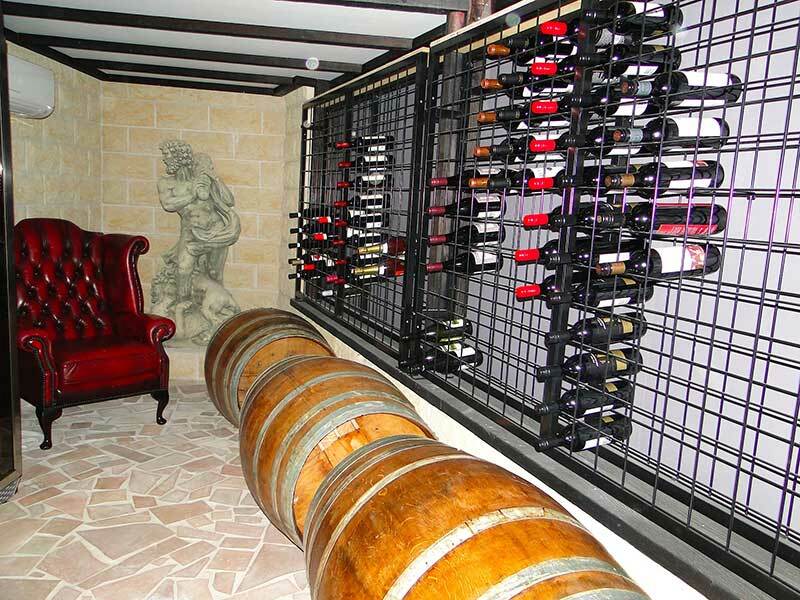 They can be all shelving or be combined with horizontal wine storage. 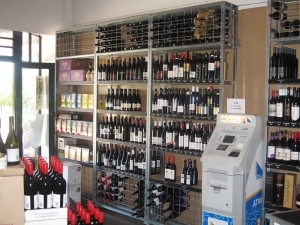 Shelving racks are manufactured using galvanised steel tube (32mm square). Shelves are usually made from 15mm hardwood ply - coated with clear lacquer. 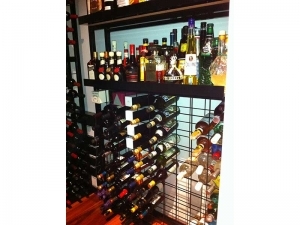 Custom Sizes are usually specified by our customers for shelving racks. 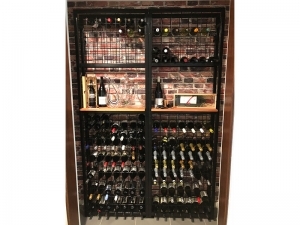 These racks can be made to accommodate cartons of wine, wooden crates, bottles stood vertically or whatever you require to store in them. 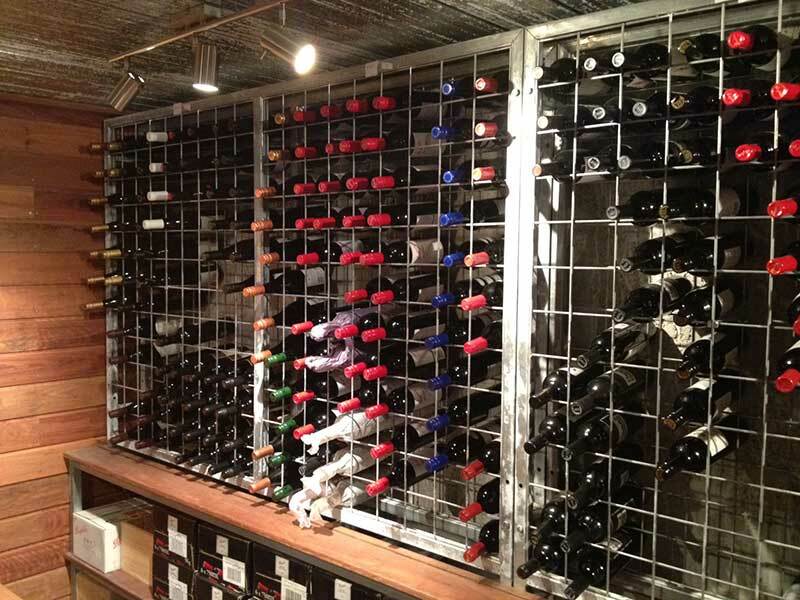 Shelving racks consist of two steel frames , 4 frame joiners and 2 wall brackets. They are supplied complete with all necessary hardware and comprehensive installation instructions. Racks are simply bolted together (10 bolts) and then fixed to your floor and wall. The racks have holes enabling them to be bolted together side by side. 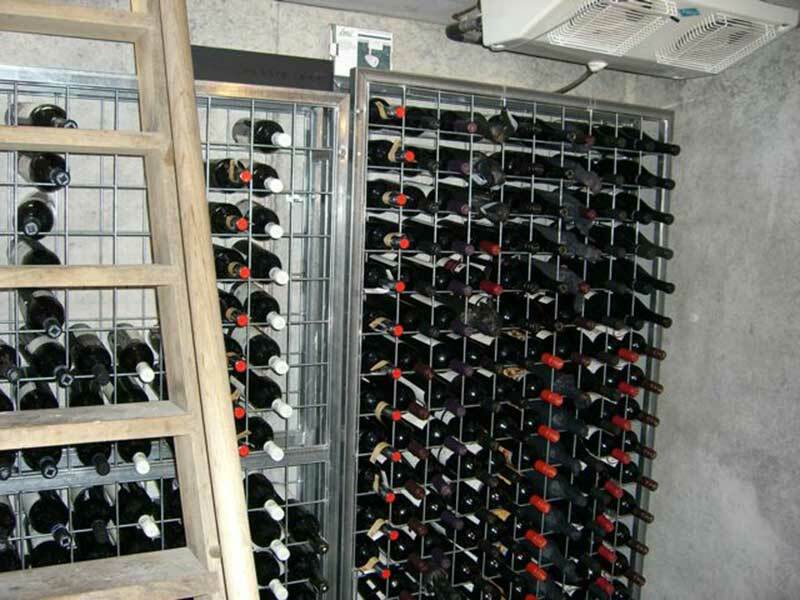 Racks can also be supplied with joiners allowing them to be located "back to back". 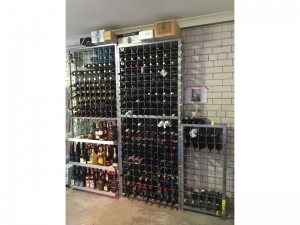 Pricing on application - varies on rack size and number of shelves. 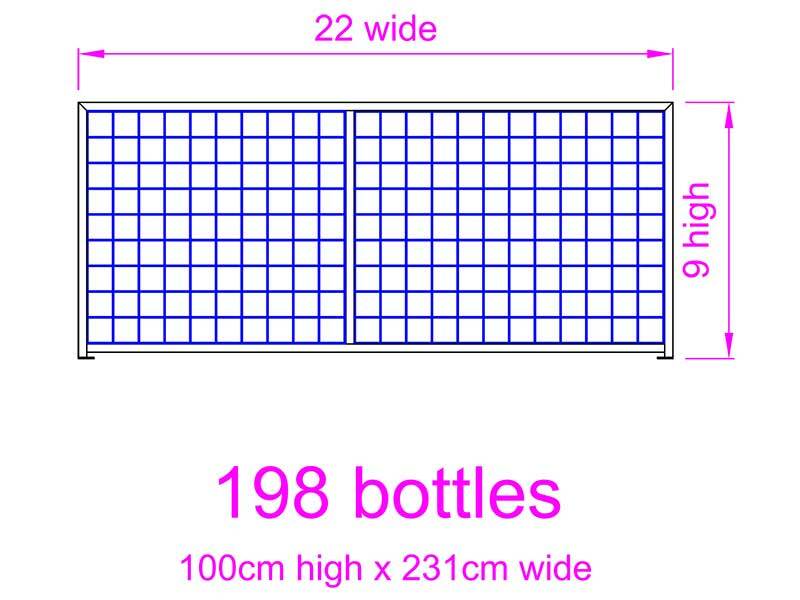 Shelving Units are shipped "Flat Packed". They are completely enclosed by timber packing to prevent damage during transit.